Every Chef and Restaurant Owner Accused of Sexual Misconduct in the #MeToo EraUpdates on all those accused, including the announcement that Mario Batali has been bought out of his ownership in B&B Hospitality. 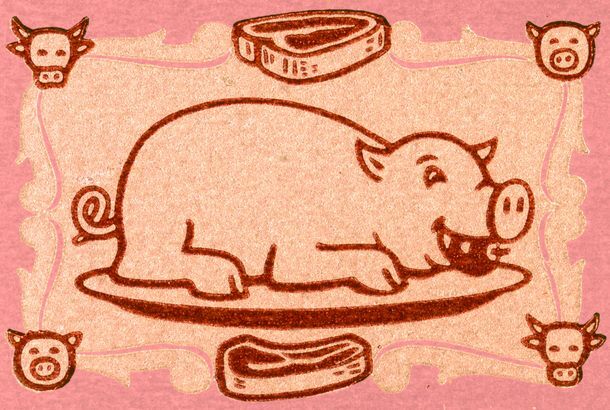 It’s Time to Kill the Spotted Pig Once and for AllThe disgraced hot spot now embodies everything that’s wrong with restaurants. April Bloomfield Speaks Out: ‘I Failed a Lot of People’In a new interview, the chef wrestles with the role she played in Ken Friedman’s alleged harassment. Ken Friedman Is Being Sued by the Ace HotelA $5 million lawsuit alleges that Friedman misreported the earnings at his two restaurants in the hotel. New York Is Investigating Sexual Harassment at the Spotted PigThe state attorney general has sought records for Ken Friedman and Mario Batali. 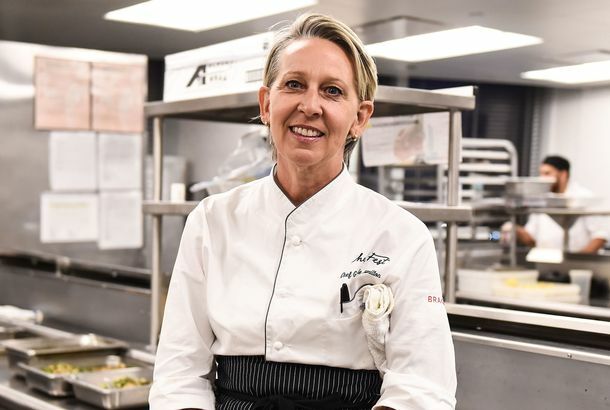 Gabrielle Hamilton on Ken Friedman: ‘We Are Going to Be the Second Marriage’The Prune chef offers insight into her controversial decision to help run the Spotted Pig alongside accused abuser Ken Friedman. 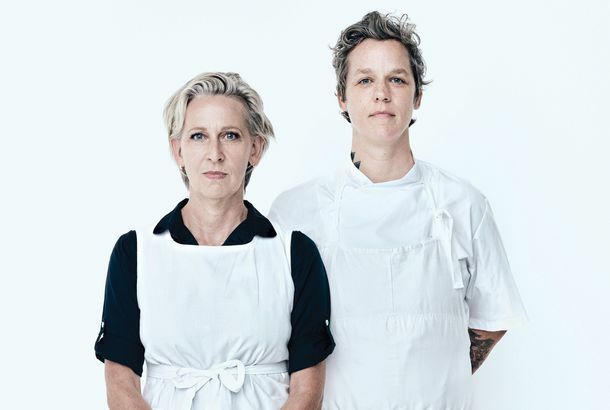 Gabrielle Hamilton Says She’s the Spotted Pig’s New ChefKen Friedman, who has been accused of sexual misconduct, hired the owner of Prune. April Bloomfield Has Left the Spotted PigShe will hold on to the Breslin and turn the John Dory Oyster Bar into a new restaurant. What Now for the Spotted Pig?The same parts of the Spotted Pig that are inherent in its appeal have now become perverse and problematic. Amid Ken Friedman Scandal, April Bloomfield Posts ApologyHer initial comments to the New York Times were widely criticized. 5 More Women Come Forward to Accuse Batali of Sexual HarassmentThe incidents occurred at the Spotted Pig and Los Angeles’s Osteria Mozza. 10 Women Accuse Spotted Pig Co-owner Ken Friedman of Sexual HarassmentA new report in the Times details a pattern of misconduct and harassment at the celebrated New York restaurant. The Spotted Pig Team Is Planning a 4-Story Restaurant DowntownIt’s atop a tower on Pine Street. 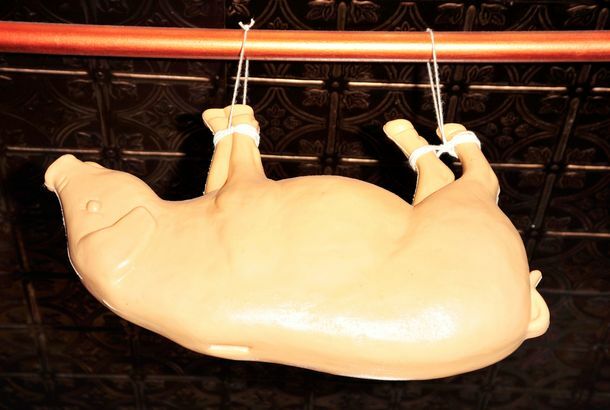 Someone Stole the Spotted Pig’s MascotIt’s like ‘Babe: Pig in the City,’ but with more offal. Spotted Pig Opens Up Reservations for 2 Whole WeeksFriedman and Bloomfield may even add more dates. Spotted Pig’s Website Goes Down As Soon As Reservations Open Up OnlineBetter luck next time, reservations-seekers. April Bloomfield and Ken Friedman Confirm New Project for East VillageExpect a café and some very British sandwiches. April Bloomfield and Ken Friedman Rumored for Los Angeles Spotted PigAre April Bloomfield’s Devils on Horseback making the jump to the West Coast? Ken Friedman and April Bloomfield Taking Over Former Strip ClubThe Lusty Lady shares a wall with Tosca Cafe. Inside the All-New, Totally Old Tosca Cafe, From April Bloomfield and KenThe New York duo has spent the last ten months reworking and revamping the venerable San Francisco bar. Tosca Renovations, and Thus the Reopening, DelayedWe’re probably looking at a fall opening now. Ken Friedman Talks Tosca, Finding the Perfect BartenderThe place will have real leather banquettes (not the pleather ones there now), and an Italian-focused menu. Gordon Ramsay Has Really, Truly Relinquished the Spotted Pig TrademarkThe shouty chef is Mr. Nice Guy now. The Underground Gourmet: Salvation Taco Takes Delicious LibertiesApril Bloomfield and Ken Friedman have gone out of their way to state that their humble efforts are no more Mexican than a Doritos Locos taco. Ken Friedman Hasn’t Made Up His Mind About Gordon RamsayIt’s all good, no matter how you slice it. What to Eat at Salvation Taco, Ken Friedman and April Bloomfield’sThe duo teamed up with Roberto Santibañez. Details on April Bloomfield and Ken Friedman’s Upcoming Bleecker StreetThe all-day concept will offer a menu similar to the Spotted Pig and the Breslin’s. Monkey Bar Enlists Superstar Staff … and PraysMonkey Bar just won’t give up. John Dory Opens Its Chef’s Table to the Hungry MassesAnd we’ve got the first menu. Ken Friedman Doesn’t Want to Brag About Celebrities, But …He will mention Charlie Rose. Starr’s Pub Gets a Dandy NameStarr’s pub could open sooner than anyone expected. First Look at the John Dory Oyster Bar, Where the Wait Is Already Half an HourA tour of the John Dory’s new incarnation in the Ace Hotel.